The 2012 American Conference Champion Philadelphia Soul, presented by Parx Casino, announce they are hosting a 90-minute concert with Caroline Sunshine and Roshon Fegan, as seen on “Shake It Up,” hosted by Sierra McCormick, as seen on “A.N.T. Farm.” The concert will begin immediately following the Philadelphia Soul home game on Saturday, June 1 as part of “Daddy-Daughter Night” and is free with a Soul ticket purchase. Sunshine currently has a recurring role on the Disney Channel original series “ Shake It Up.” In addition to her work on “Shake It Up,” Caroline has been busy working on new music. In 2012, Caroline had featured songs on the “Shake It Up: Live 2 Dance” soundtrack and the Disney Channel . She has also been working on other music and performing at shows across the US. Stars of the Concert include Disney star, Roshon Fegan seen on “Shake It Up” and “Camp Rock” movies; and the band, IM5. Fegan was also featured on the 14th season of the ABC show “Dancing with the Stars.” He stayed on for 8 weeks and was placed in the top 6. The MC will be Adrian R”Mante, made famous from his role playing “Esteban” from Disney Channel”s, “Suite Life of Zack & Cody”. Official Host for the evening”s concert is the talented Sierra McCormick, who is seen daily on Disney”s “A.N.T. Farm” and appeared in movies: Jack and Janet Save the Planet, Ramona and Beezus; and, A Nanny for Christmas. Sierra will also participate with other stars in meeting and greeting VIP ticket holders. IM5 is quickly making waves as the world’s next dominant boy band and was founded on a national talent search headed by American Idol creator, Simon Fuller, along with world-famous celebrity blogger, Perez Hilton. The multi-cultured quintet comprised of band members Cole Pendery, Dalton Rapattoni, Dana Vaughns, Gabe Morales and Will Jay boast their own unique style that fuses together hook-driven pop melodies, authentic vocal harmonies, and full-blown dance routines. “Daddy-Daughter Night” was created to provide an opportunity for all fathers to create an unforgettable experience with their daughters. Dads will get to experience a great day of Arena Football by watching the Soul in a rematch of Arena Bowl XXV vs. the Arizona Rattlers. Daughters will have the opportunity to see an incredible concert filled with some of today’s top child performers. Of course, the entire event is great for the entire family, not just daddies and daughters. 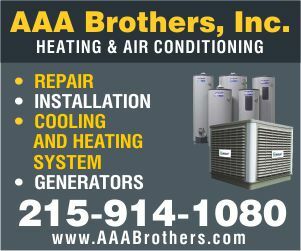 To accommodate this concert, the kickoff will be moved up to 4 p.m., with the concert set to start at approximately 7 p.m. For more information and to purchase tickets, fans can contact the ticket office at (215) 253-4900, ext. 3, visit www.philadelphiasoul.com, call Wells Fargo Center box office at 1-800-298-4200, or click here to go to the box office. VIP Ticket packages are available for this event. 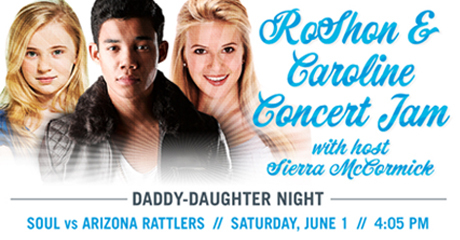 One package includes access to the Caroline Sunshine, Roshon Fegan & IM5 sound check for $50 per person. Another package includes a private meet and greet with Caroline Sunshine, Sierra McCormick, Roshon Fegan & IM5 and field access for the post game concert for $100 per person. For more information on VIP Packages, call the Soul offices at 888-789-SOUL X3. The Philadelphia Soul are presented by Parx Casino. They capped their seventh Arena Football League season by capturing the 2012 American Conference championship.